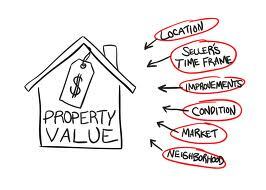 An appraisal is an objective determination of valuation of an object or property. Lenders require an appraisal before the loan is funded at closing. If a purchaser is obtaining a loan for $400,000.00 and the purchase price is $500,000.00, then the lender will not fund the loan unless the appraiser determines that the property is worth at least $500,000.00. If the property appraises for less than $500,000.00, the parties have various options. Typically, contracts to purchase real estate contain mortgage contingency clauses, which essentially provide that if the purchaser does not obtain a commitment from an institutional lender within a certain period of time after having applied for such financing according to the contract, then the purchaser can cancel the contract and obtain the refund of his downpayment. In New York contracts, a portion of this standard loan contingency provision states that if the commitment is conditioned on the lender’s approval of an appraisal, then the purchaser is not bound until and unless the lender has approved the appraisal. Prior to the “Great Recession”, it was not uncommon for loan officers to interact directly with appraisers by engaging their services and suggesting the amount needed for the property valuation by “prompts”. If the purchase price in the contract or the loan amount applied for in a refinancing was $350,000.00, the property must be “worth” at least $350,000.00. However, as learned in recent years, property values were inflated in some instances to justify the transactions and the homeowner was left with an “underwater” property, with the loan amount exceeding the property value. As a result, lenders reacted and became more conservative. Appraisers are now more independent and objective. A loan officer is now strictly forbidden from contacting the appraiser. Another result is that appraisers from Long Island may be evaluating properties in Westchester, making them unfamiliar with the nuances of a locality that may enhance value. If the appraisal results are lower than the parties expected, the purchaser can simply cancel the contract and receive a refund of the downpayment. Should the appraisal result in the lender’s willingness to fund the loan, but at a lower principal amount that will require more cash from the purchaser at closing in a modest amount (perhaps $10,000.00), the purchaser may decide to come up with this additional cash at closing or the seller may agree to reduce the purchase price to get the deal done. The Wall Street Journal in a recent article suggests that borrowers may wish to submit a reconsideration letter to the lender that rebuts the appraisal results, usually by raising factual errors rather than emotional concerns of the parties. The borrower may wish to raise the appraiser’s unfamiliarity with the location. Perhaps particular design features or the quality of appliances was overlooked. Comparables, the results of sales of similar properties in the same neighborhood, should have been considered by the appraiser. The comparables should be for properties sold without special circumstances, such as short sales and foreclosures, which tend to have lower prices. A strong rebuttal letter will suggest that certain applicable comparables were ignored. Our attorneys can assist the parties to transactions in drafting the pertinent contract provisions that address these appraisal issues. Further, we navigate the process on behalf of our clients during the period of time between contract signing and loan funding.